In 2019 Ireland will become the Country to visit for everything Lean! will in 2019 provide you with the platform to Learn, Innovate, Improve and Challenge. No other Country will bring together 5 international events in one year; making Ireland the centre of lean & enterprise excellence globally in 2019. 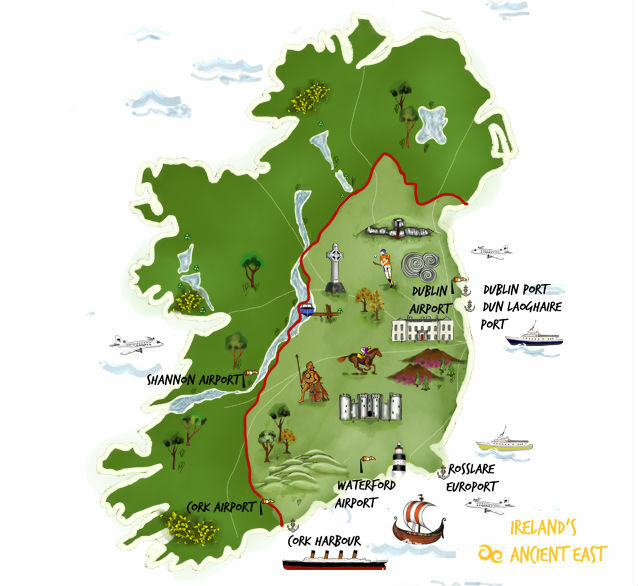 So why not make a holiday out of your Lean learning and explore the wonderful sights, attractions, food and friendly atmosphere Ireland has to offer! We have worked closely with Failte Ireland to make sure planning your visit to Ireland is stress free and fun! Dublin is a seven-days-a-week, twelve-months-a-year kind of place, and there’s always something on to entertain and distract me. In addition to the world-renowned arts festivals that take place annually, given that Dublin is a UNESCO City of Literature and has a longstanding reputation as a theatrical powerhouse, there’s always something outstanding to check out. Located in the heart of the legendary St. James’s Gate Brewery in Dublin, this production site has been home to the Guinness Brewery since 1759, when Arthur Guinness signed a lease for 9,000 years. 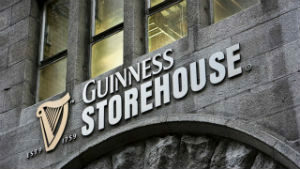 The Guinness Storehouse building dates back to 1904 and is built in the style of the Chicago School of Architecture. It was once the fermentation plant of the brewery and is now a seven-storey visitor experience dedicated to the history of the making of this world famous beer. “Vadrarfjord” was founded in 914 AD, a Viking settlement that became a flourishing port. Today’s narrow streets and medieval walls of the Viking Triangle stand on its original footprint. There’s Georgian Christ Church Cathedral, too, on the site of the Viking church where the great Anglo-Norman knight Strongbow famously married the Irish princess Aoife. Explore 9 counties along this unforgettable coastal touring route to enjoy breathtaking scenery and exceptional experiences. With the landscape a veritable golden garden and those shorelines offering salty welcomes, you’re set to dive into incredible experiences, make fast friends and fantastic memories. Are you ready for 2,500km of wonder? Ticking all the boxes as an historical, geomorphic, geological and archaeological wonder, the intriguing stony karst landscape of the Burren is a marvel to roam, cycle, spot unique flora and fauna on and even follow a food trail over. At its UNESCO-recognised geopark, discover the longest cave system in Ireland, the largest stalactite in Europe and plenty more. lived until they left the island in the 13th century. 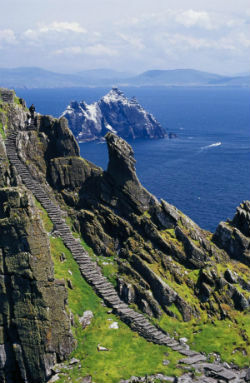 and visit the Skellig Experience Centre instead. 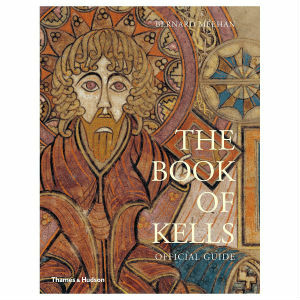 Take a journey into the unknown and uncover the very heartbeat of Ireland. Ireland’s Hidden Heartlands has its own beat, its own vibrant pace. It’s a place where you can find your own rhythm. 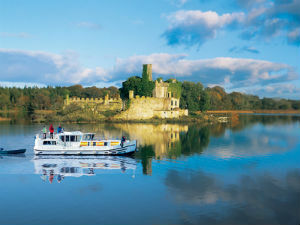 Whether it’s an on-the-water adventure along the iconic River Shannon, a tranquil river cruise through breath-taking Lough Derg, or a journey through heritage and history in the bustling town of Athlone, there’s plenty to see & do. Arigna maintains its link with Energy themes: Past, Present & Future. 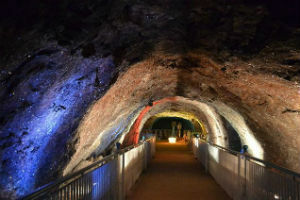 This Energy Centre provides visitors with a unique insight into what coal mining life was like in the Arigna Valley, since its beginning in the 1700’s until closure in 1990. Arigna is not only a unique visitor experience but has also ensured the preservation of a crucial part of our history for future generations. One of Ireland’s most popular inland resorts, Carrick-on-Shannon is a county town of Leitrim and the cruising capital of the Shannon. 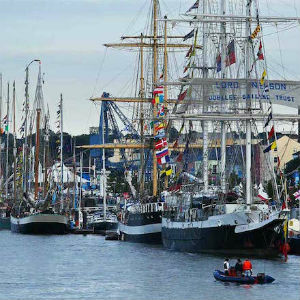 With 750km of cruising on offer, the town is perfectly poised as the gateway to the Shannon to the south and the Shannon-Erne waterway to the north. 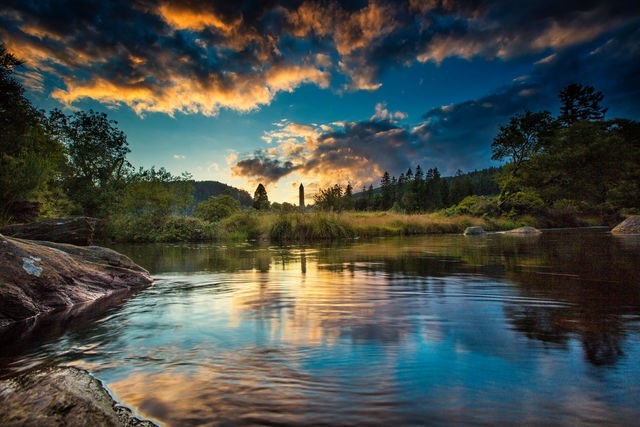 Surrounded by unspoiled scenery, it’s long been renowned as an angler’s paradise with many species of game and course fish available within a short distance of the town. Whether you want to rent a cruiser or pick up a paddle boat, go fishing or indulge in a little retail therapy on the traditional streetscape, there is a diverse range of things to do in Carrick-on-Shannon. Whether you want to explore Ireland yourself or on a tour bus, we have selected the best options below.